Sun, sea and sand are a pretty great basis for a summer holiday, and the db Seabank Resort & Spa found in the northern tip of the main island of Malta boasts all of these in abundance, making it the perfect destination for your next sunshine holiday. Whether you are travelling as a family, couple or solo, the beautiful area of Mellieha offers plenty of things to see and do, whatever your interests. Often referred to as Ghadira it is one of the most popular beaches on the island with both locals and visitors alike. This is thanks to the fact that it is a sheltered shallow beach with no dangerous undercurrents, making it safe for people of all ages and swimming abilities. The pleasantly warm shallow waters extend for a mile into the Mediterranean Sea making it the ideal spot for some safe sea bathing and for relaxing in the shadows. Bring your towel or reserve a beach lounger, and make use of the wide variety of beachside bars, restaurants and cafes. Mellieha Bay is not only great for relaxation but it boasts some exciting activities to try out too, in particular the water sports on offer which include snorkelling, diving, jet-skiing and pedalos. Other activities include beach volleyball and kiting. To check out the full list of activities available with the db Seabank Spa & Resort, click here. The lovely beach is less than a mile away from the charming and historical hilltop village of Mellieha, which is definitely worth a closer look. This tourist village has been inhabited since 3000BC and was once an important strategic fortress for the various nations that ruled Malta (from the Moors to the Knights Hospitallier to the British). The fascinating history and architecture of the village boasts medieval elements, the more recent colonial British style and the modern amenities that help to make Mellieha the vibrant and bustling hub that it is today. To find out more about Mellieha, please click here. Thanks to its hilltop position overlooking the Mediterranean Sea, Mellieha boasts some truly spectacular views of the bay and the Maltese island of Gozo to the north, which is an easy ferry ride away. If you are visiting Mellieha, then make time to visit one of its most impressive sites, Saint Agatha’s Tower, which is also known as the Red Tower. Built in the mid-17th Century, this imposing watch-tower stands in a strategically placed position on Marfa Ridge looking over the natural harbour of Mellieha. The last watchtower of its kind to be built in Malta, it is also one of the best preserved and is a fascinating place to spend a few hours. Aside from the historical sites found in Mellieha, the village also boasts some fantastic bars, restaurants, cafes, shops and more. With a huge range of dining options at the resort, it can be hard to tear yourself away, but why not take a night out in the village. The bustling and friendly Mediterranean atmosphere will make you feel at home as you soak up some authentic Maltese hospitality. 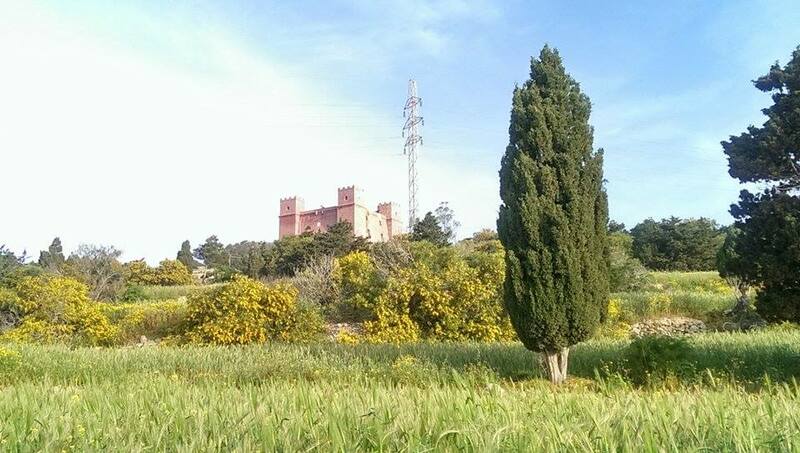 As well as the Red Tower, you can also find the Ghadira Nature Reserve and the Popeye Village. 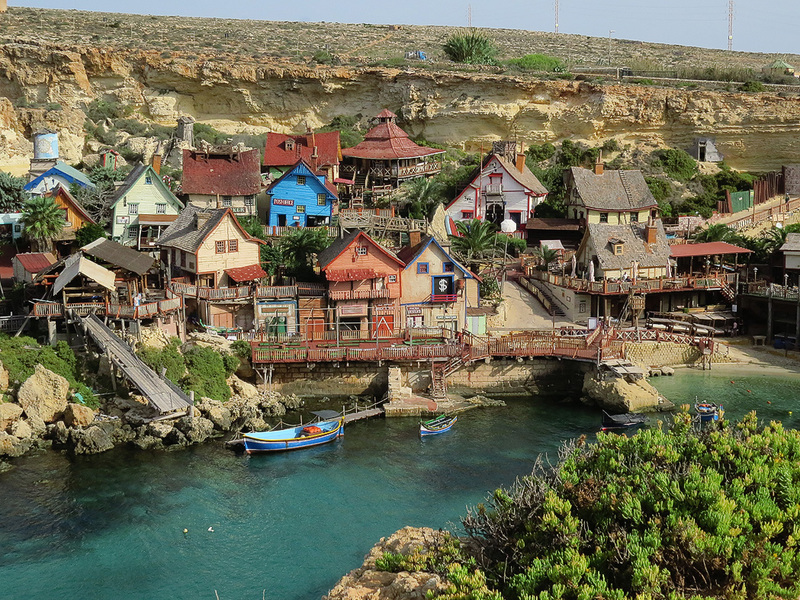 The original set from the 1978 Robin Williams film Popeye is a popular attraction, originally built as a temporary set, it has remained ever since due to its popularity with the locals. It is now a popular event venue and mini theme park. To find out more about what the db Seabank Resort & Spa has to offer on your holiday, simply return to its page here. 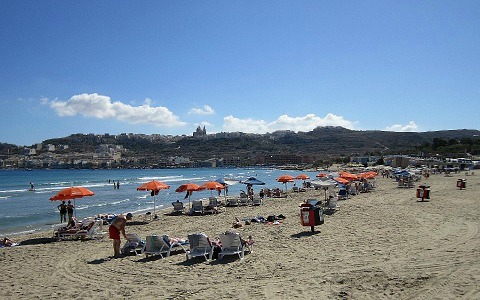 With so much to see and do in Melieha, it really is the perfect holiday spot for your Malta sunshine break.